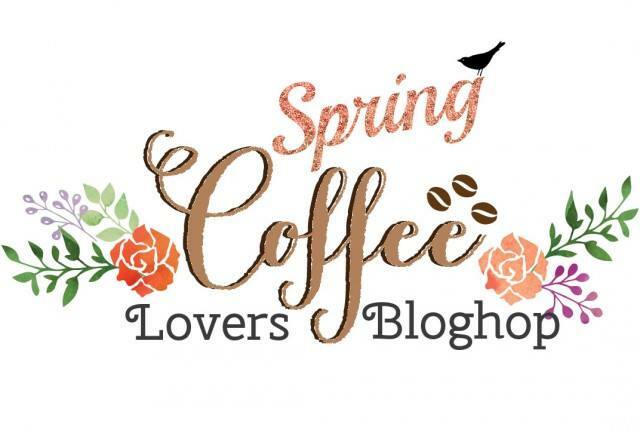 I'm excited to be participating in the Coffee Lovers Spring Bloghop today - I used spring colors on my coffee cup and on the patterned paper. The cup was cut out of watercolor paper using MFT Coffee Cup Die. I inked them using Loll Thompson's Splash Water Color Background technique using Ranger Distress Inks Worn Lipstick, Broken China and Brushed Corduroy, my craft mat and water mister. 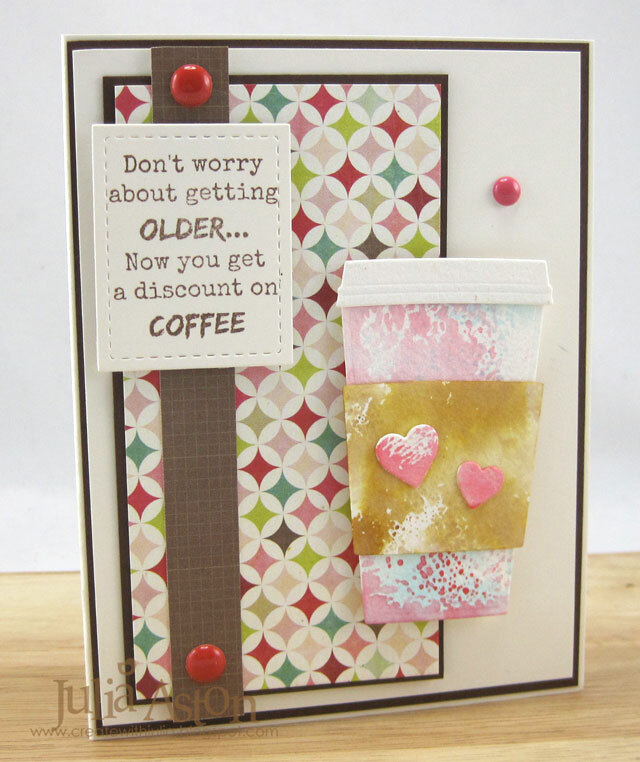 This fun sentiment is from Becca Crueger's set designed for Stamplorations called Literary Caffeine-ations. 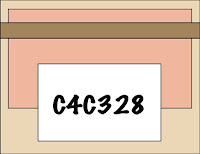 I stamped it on a piece of Vintage Cream cardstock cut with Storybook 1 die from Pretty Pink Posh. The coffee cup and sentiment panel are popped up on foam dots. There are TONS of prizes to be won chosen by Random.org - You'll find the Coffee Lovers Spring bloghop details and link for your creation here. 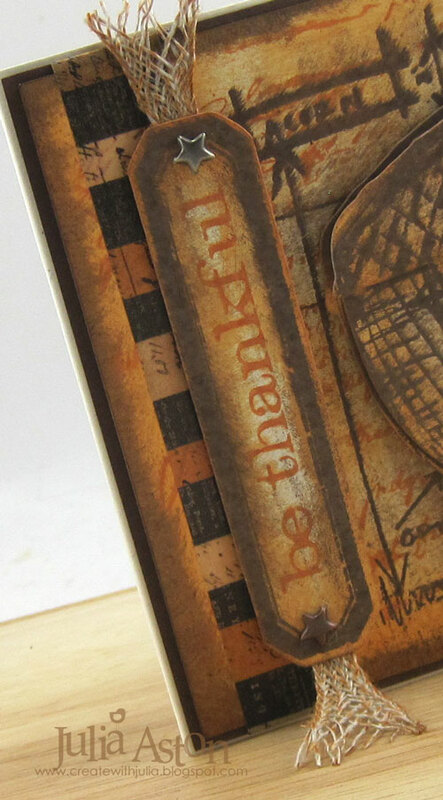 Paper: Vintage Cream, Dark Chocolate - PTI, Arches Watercolor paper, DP - This and That Echo Park 6x6 paperpad. Ink: Dark Chocolate - PTI, Ranger Distress Worn Lipstick, Tumpled Glass, Brushed Corduroy, enamel dots - Michaels, Foam dots, Coffe Cup Die - MFT, Storybook 1 die - Pretty Pink Posh. Just in time for Thanksgiving - we have a lovely photo for inspiration for this fortnights Fusion Challenge! 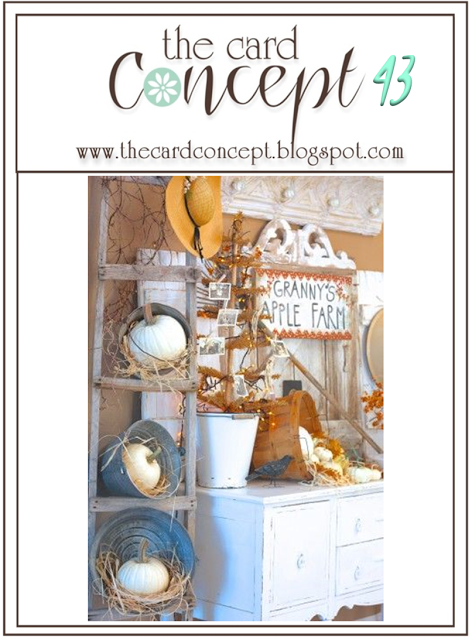 I love cream colored pumpkins and that was what inspired me for my Thanksgiving card! I used my Alterations Pumpkin Parts die for my layered pumpkin - the die includes the base pumpkin shape, the stem and then 3 strips that you can cut as many as you want of to layer onto your pumpkin. I used Vintage Cream Linen Cardstock and I sponged all the edges of the pumpkin pieces with Tea Dye Distress Ink. I layered them over the pumpkin base with foam dots. I die cut the flowers using Button Stacks Set from PTI and added orange rhinestones to the centers of each. They are layered onto the pumpkin with foam dots. 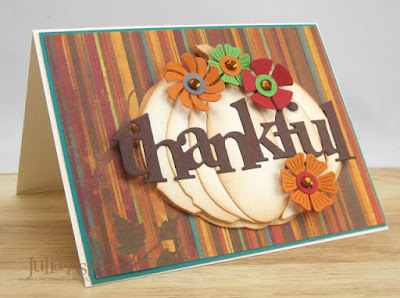 The Thankful is another PTI die from the Counting My Blessings die set. 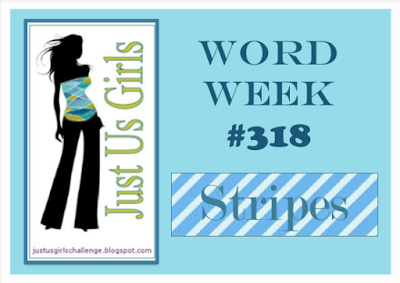 How will you be inspired by the Fusion Challenge this week? 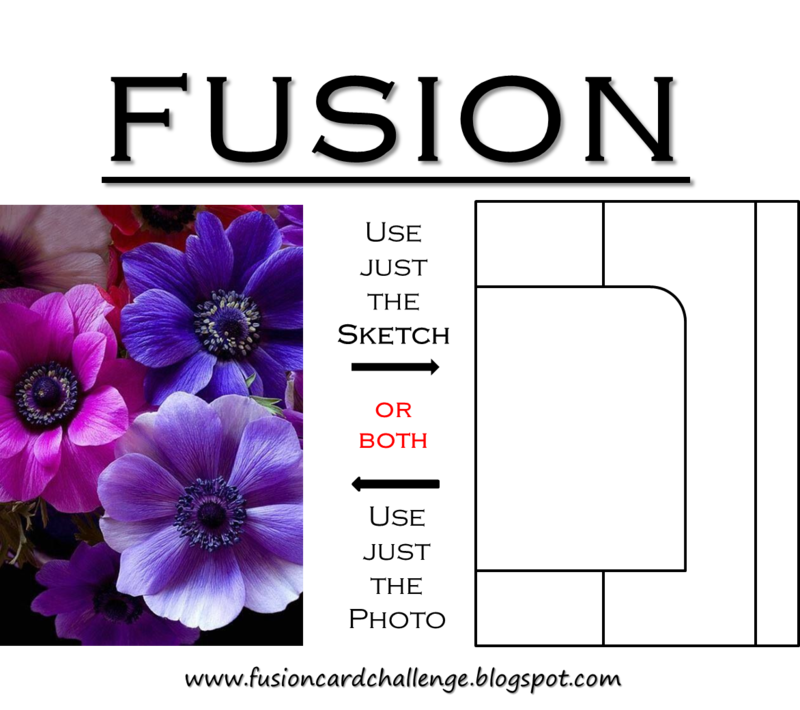 By the photo, the sketch, or will you combine the two???!! 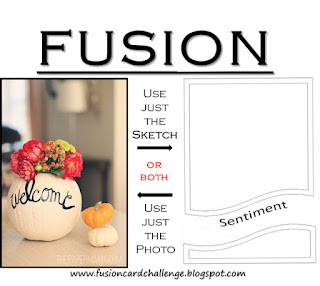 Can't wait to see what you link up over at the Fusion Card Challenge blog! Paper: Vintage Cream Linen Cardstock, Dark Chocolate, Pure Poppy, New Leaf, Orange Zest, Tropical Teal - PTI, DP - Bo Bunny Forever Fall Collection. 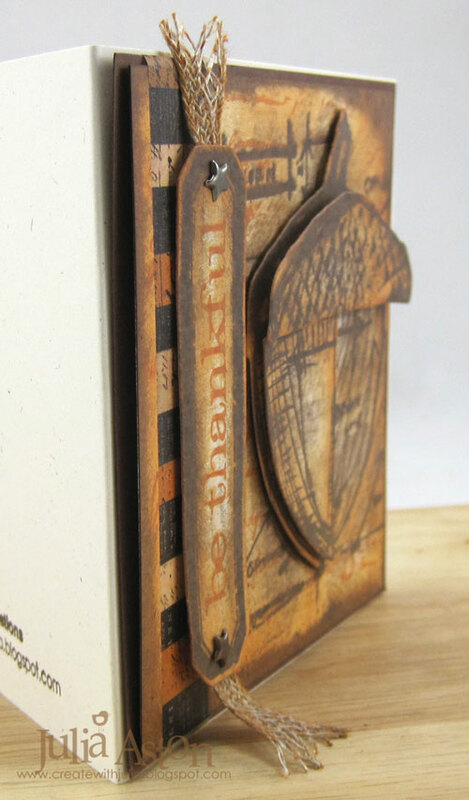 Accessories: Pumpkin Parts Die - Alterations/Tim Holtz, Button Stacks Set and Counting My Blessings Die set - PTI, Rhinestones - Kaiser. 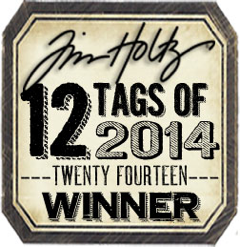 Here is the card I created using the items in my travel bag. 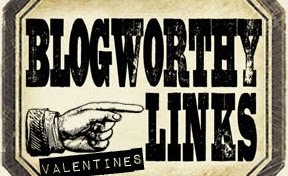 You'll find photos and details of just how I made my card over at my A Vintage Journey post here. I'd love if you could stop by! 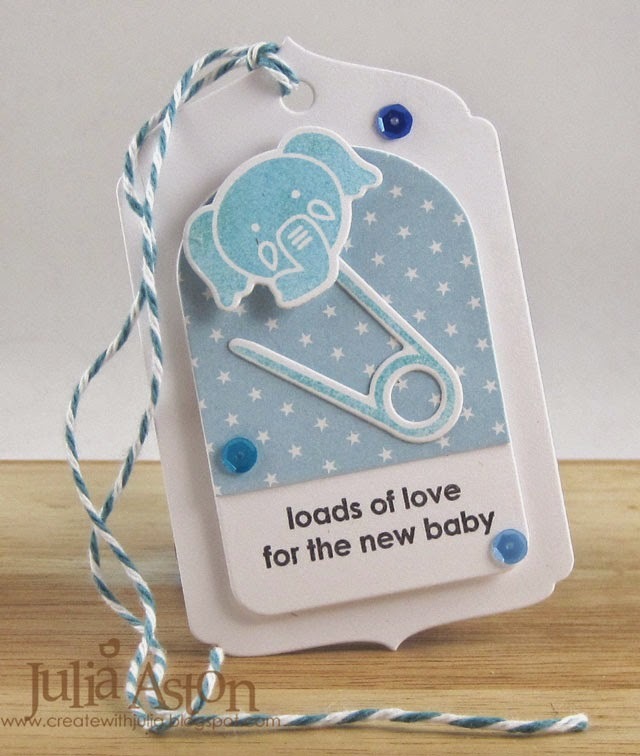 Accessories: Idea-ology Linen Ribbon, Regions Beyond Tissue Tape, Star Fasteners, Foam dots. Welcome to this fortnight's Fusion Challenge! I just love the beautiful colors on these flowers and also the thought that all the snow we still have here in MA will, in fact, some day give way to blooms such as these!! 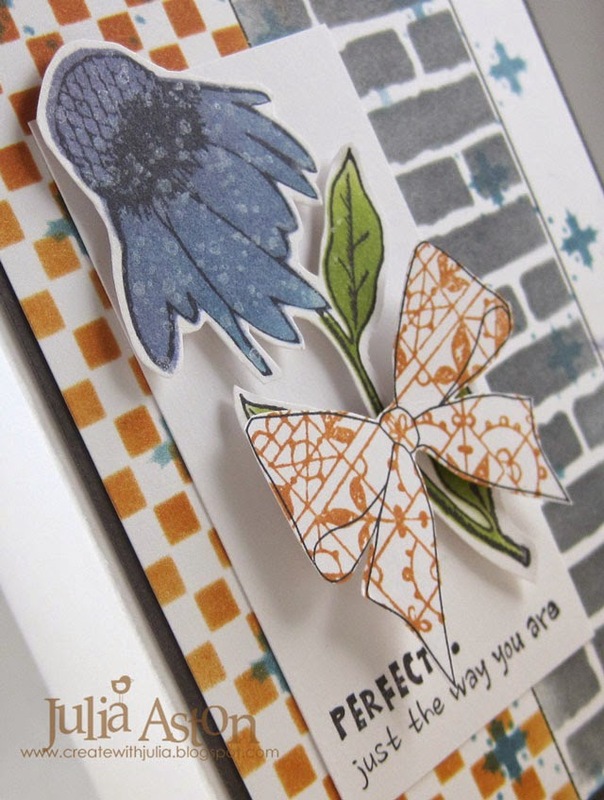 So although I started out thinking I would use these lovely colors - my card took it's own direction, as sometime happens, and I ended up using the sketch instead - with a nod to the photo using purple and blue on my coneflower! 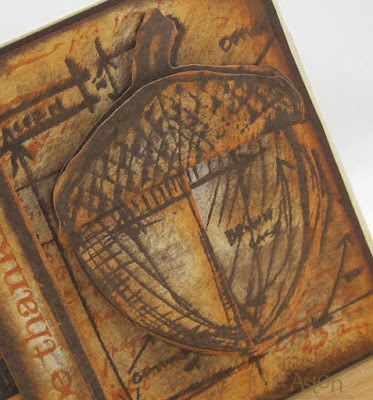 My card is all Wendy Vecchi today. I used her Archival inks -Orange Blossom, Cornflower Blue, Watering Can, Hydrangea and Fern Green, along with Archival Jet Black. I stenciled with her Check Mate, Vintage Quilt and Basically Bricks stencils along with two of her SISI stamp/stencil sets Cone Flower and For the Holidays. I masked the right edge before stenciling the bricks and I drew the lines at the edges of the stencils with a black Fude Ball pen. 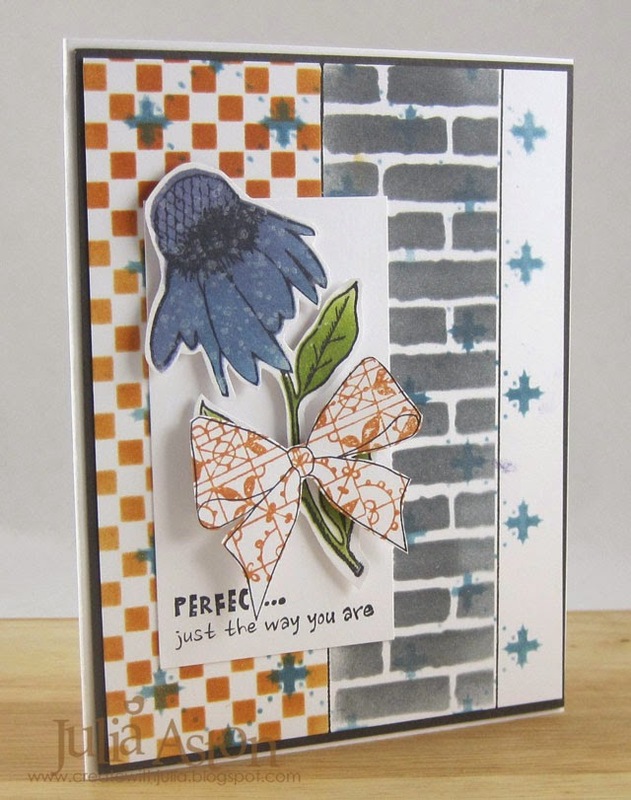 I also stamped over the coneflower with Wendy's Spatter stamp in Brilliance Moonlight white ink and I stamped over the bow with the lovely lacey stamp from the Say it With Art set. 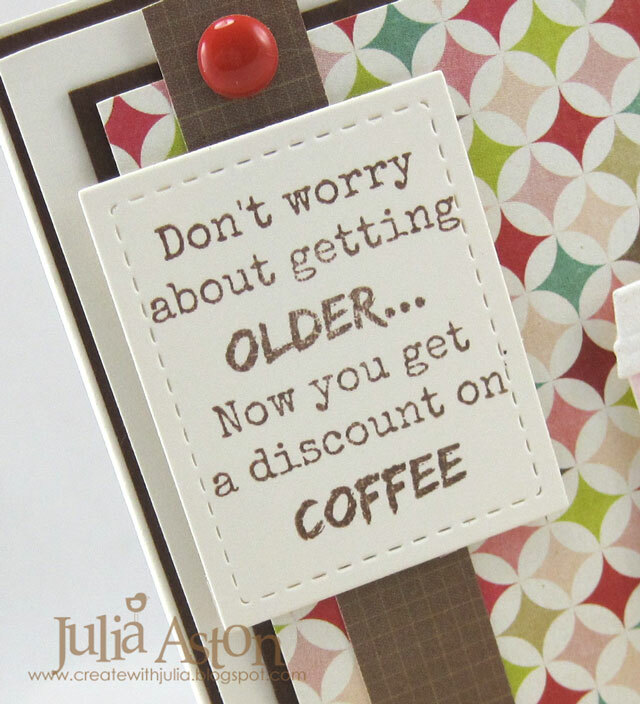 The sentiment is from Wendy's Passion for Art set. The flower and bow are popped up on foam dots. 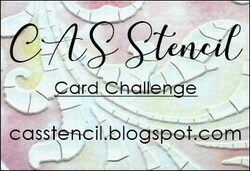 Wendy Vecchi March Make ART challenge - to use stencils. 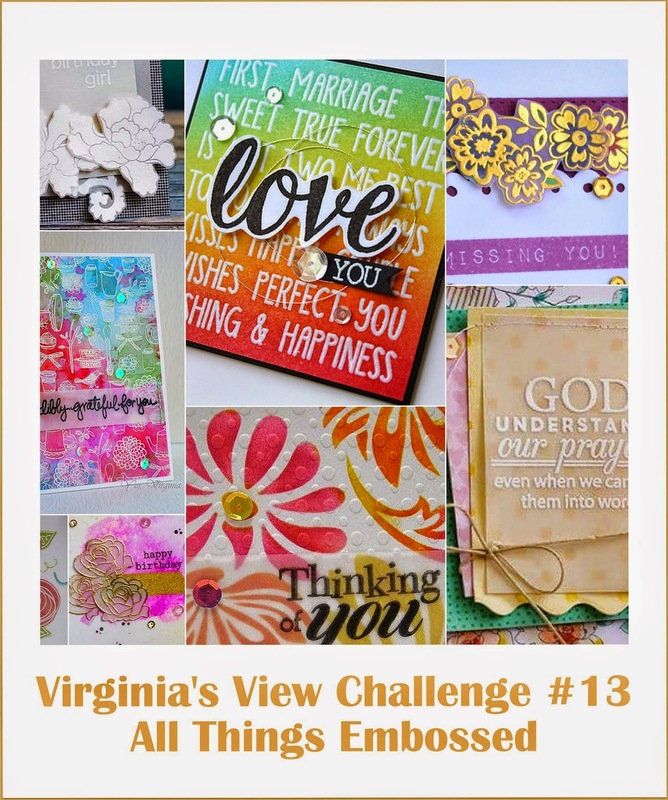 Crazy 4 Challenges - Put a Bow on It! Stamps: Wendy Vecchi Studio 490/Stampendous - Spatter Background, Say it With Art, A Passion for Art. Ink: Archival Jet Black, Wendy Vecchi Archival Orange Blossom, Cornflower Blue, Watering Can, Hydrangea, Fern Green, Brilliance Moonlight White. This past weekend I attended a baby shower for my friend's son and daughter-in-law who are expecting a baby boy in April. Instead of giving a card - we were asked to bring a book that we wrote our name in so they could read it to their son and always know who gave it to him. It was really hard for me, a card maker, not to give them a hand made card!! 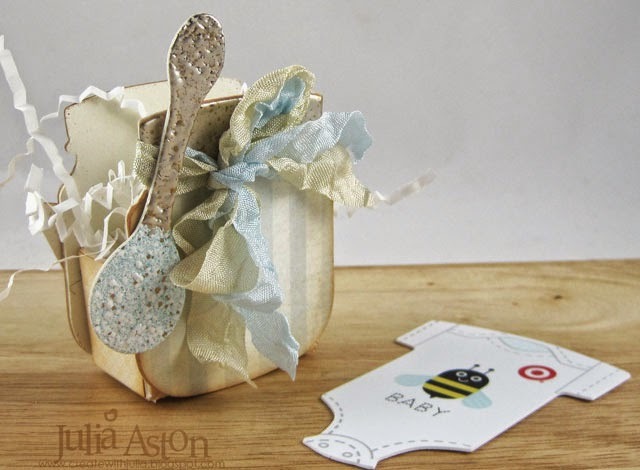 SO - I made a sweet little baby food jar to put a Target Gift card in. 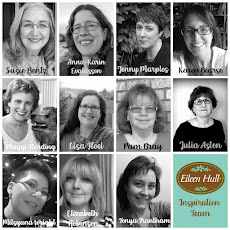 I used Eileen Hull's Baby Jar die from Sizzix cutting it out of Little Sizzles Matboard. 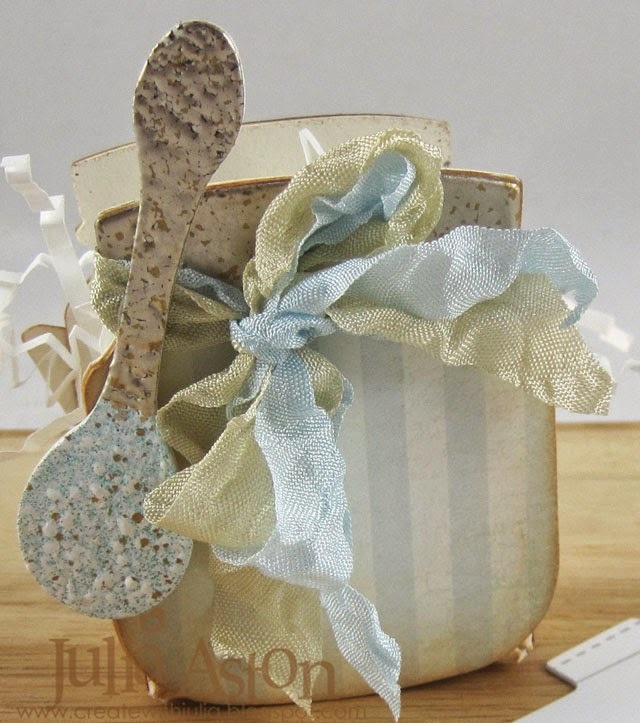 I embossed the handle of the spoon and the jar lid with Frantage Aged Silver Embossing powder and Frantage Shabby Blue on the bowl of the spoon. I die cut two extra pieces from the matboard of just the jar tops, embossing them in the silver and layering them over the jar base. 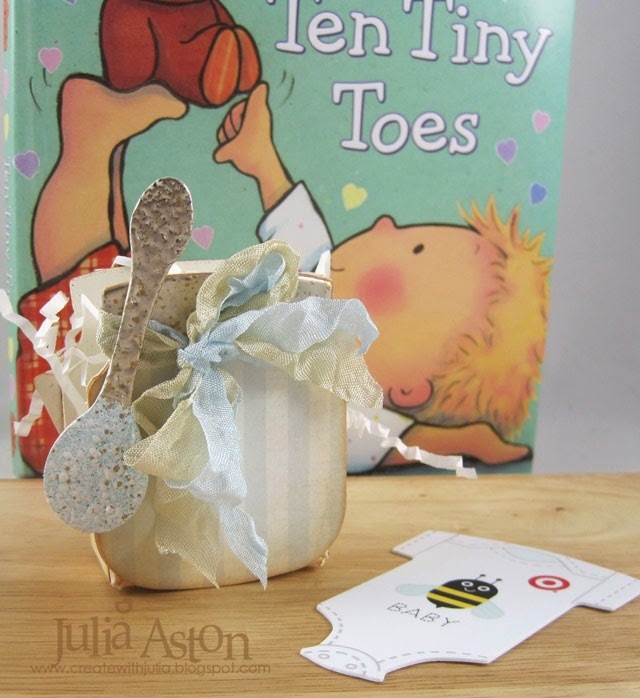 I wrapped pieces of cream and light blue wrinkled seam tape around the front of the jar tying them in a loose bow. I stamped a sentiment from the new Tim Holtz Handwritten Sentiment Set, cutting it out around the letters and sponging the edges with Ranger Distress Tea Dye Ink. And how cute is this onesie shaped gift card from Target??!!! I slipped that inside the jar. I didn't take a photo of how I presented this gift - but I placed it inside a clear flat bottom bag and attached this tag to it. 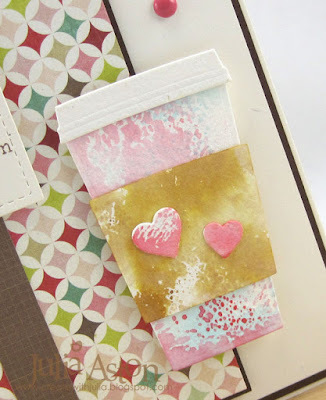 I made the tag a while ago for a Papertrey Ink and Tag It challenge - you can see that post here - I love these Sweet Cheeks stamp and coordinating die sets - SO great for baby projects! 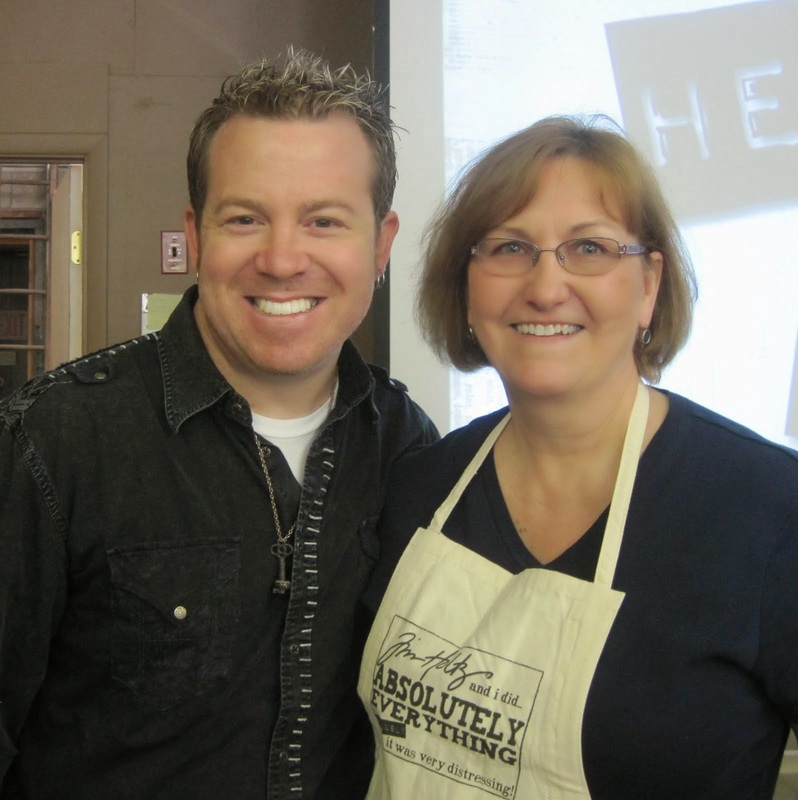 The die is Tag Sale #8. 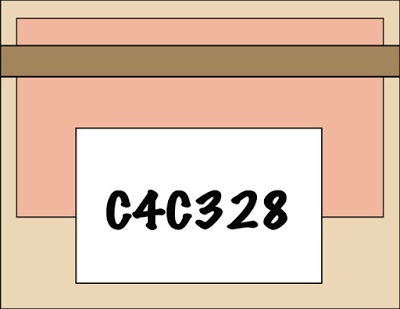 I'm linking my baby jar to Crazy 4 Challenges - Put a Bow on It. 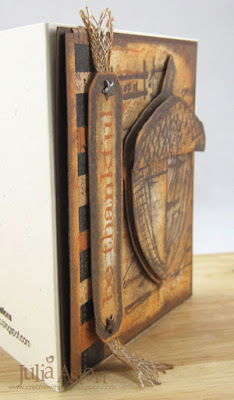 Paper: Rustic Cream - PTI, DP - My Minds Eye/Cowboy, Itsy Bitsy Baby Boy/K & Co, Little Sizzles 6"x13" Cream Matboard. 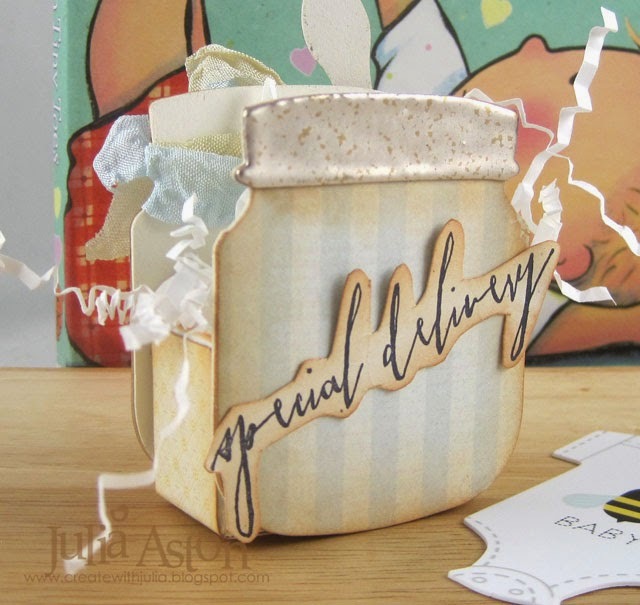 Accessories: Eileen Hull Food Jar 3D and Spoon - Sizzix, Aged Silver and Shabby Blue Frantage Embossing Powders - Stampendous, Scotch Quick Dry Adhesive, ScorTape. Accessories: Tag Sale #8 Die and Sweet Cheeks dies - PTI, foam dots, Glossy Accents, Caribbean Blend Sequins - Avery Elle, Ocean Twine - The Twinery.